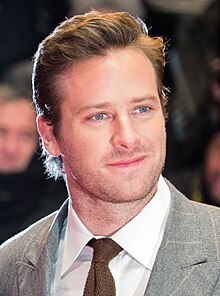 Armie Hammer (gebore 28 Augustus 1986) is 'n Amerikaanse akteur. Hy is bekend vir sy rolle in die rolprente The Social Network (2010), The Lone Ranger (2013), The Man from U.N.C.L.E. (2015), en Call Me by Your Name (2017). 2015: The Man from U.N.C.L.E.